What I learned writing a six-book series. 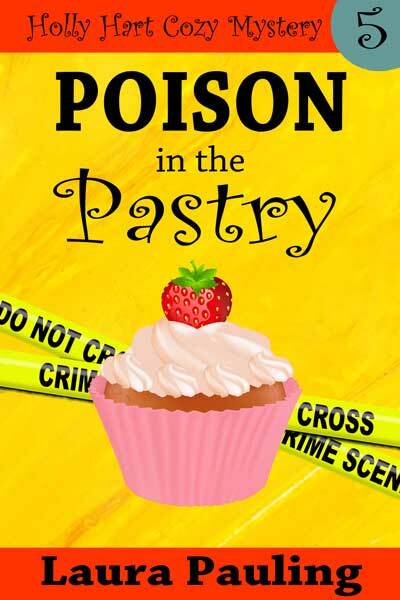 The final Holly Hart Cozy Mystery is live! To celebrate I thought I’d share what I learned writing this series. Free on Kindle Unlimited or 99 cents for a limited time! 1. Writing is hard work. I’m not going to lie. It was so much fun creating and brainstorming the Holly Hart series. Writing the first book was thrilling and kept me at the edge of my chair as I learned about my characters and they became real people to me. I loved the surprises. 2. Writing in a series flows faster when you know the characters and the world. Knowing the characters and the relationships made moving from one book to the next book easy. I didn’t need to plan out character flaws and strengths or figure out the world or the voice of the story. 3. It’s so hard not to be distracted by new and shiny ideas. So many ideas. I have several outlines of books and series that I might very well never write. Or I might. Sometimes I have to flesh it out in an outline before realizing if a premise is worth writing. So many of them I wanted to start writing the next day. Still do. 4. It might help to take a break and write something new. With one book left in the series, I needed a break. Too many ideas pressing against me. Too many voices that needed to be written. 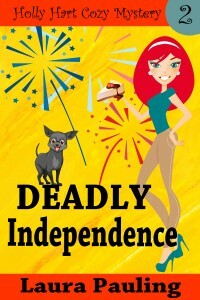 Last spring, I took that break and wrote book one in a new cozy mystery series that will release this spring. 5. Character arc is nice but after a while it’s hard to keep it feeling new. Thank God for my editor who kept me on track when I went in a wrong direction halfway through the series. She called me on it, and I agreed with her. I went on to make major changes in the story and the next one. 6. I don’t know how people write 12 book series or longer. 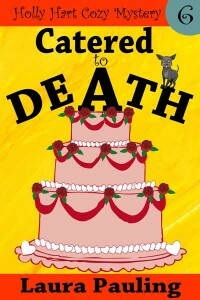 Recently, I’ve discovered a fantastic cozy mystery series. The fifteenth book was recently released. Yeah, I know. Impressive. I’m not saying I would never write a long-running series, but…it would have to be the right situation and the right series. 7 I love writing and reading mysteries, whether it’s a cozy mystery or the mystery is a subplot. When I took a break to start another cozy mystery series, I knew I’d found a genre I’d love to keep writing. I love the mix of mystery and humor. All my ideas might not be cozy mysteries, but they will contain some sort of mystery and/or humor. 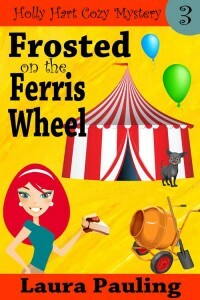 On that note, with mixed feelings, I’ve released the final Holly Hart Cozy Mystery. But I’m very excited for the new cozy mystery series I started last year! More information will come soon! Read any good books lately? Feel free to share. 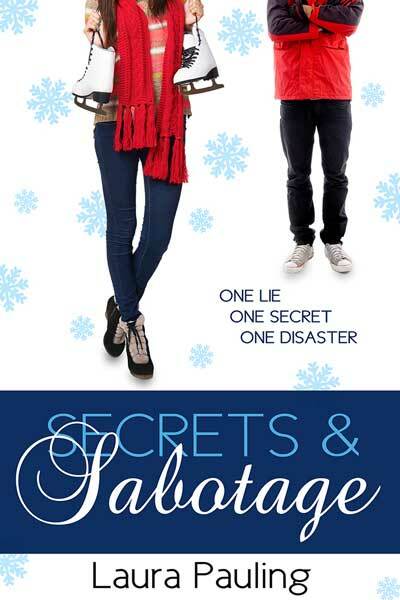 A #christmasfail and new releases! Well, you know what they say. Pride comes before a fall. I mean how hard can it be to melt white chocolate chips? So with a smile, I happily broke up the Winter Oreo cookies, pretzel sticks, and joyfully added in the Christmas MnMs. All I had to do was pour the melted white chocolate over the mix. Presto–dessert! No baking necessary! It started out fine. I put the bowl in the microwave, stirred, microwaved…etc. At first, it was working. Then I noticed that it stopped melting and was crumbling. Upon research, I later learned the term for what happened is called seizing. Basically, once you reach this point, the chocolate is ruined. I was going to give up on melting white chocolate forever, but I will try once more. Soon. In a double boiler and see if that helps. Who know that white chocolate was so complicated? Regardless, I hope your holiday baking has been more successful than mine! On the publishing end, a lot has been happening in the past month or so. I have three books for you all–all at 99 cents for a short time. Click the picture for Amazon–available for free on Kindle Unlimited! It’s the most wonderful time of the year…or is it? It’s the most wonderful time of year…or is it? Only 1.99 through November 29th!! Christmas Eve is a night of mystery and magic, but not always in ways we expect. Things lurk in the shadows and they’re not the least bit jolly or merry. Let’s just say some presents are better left unopened. 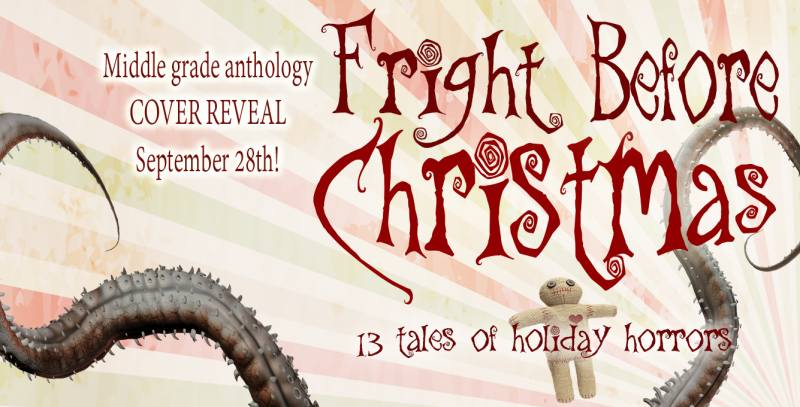 ‘Tis the season to be screaming along with our thirteen tales of holiday horrors. Ghosts. Monsters. Demons. And more! I’m excited to be a part of this scary Christmas anthology! Here’s a sample from my short story! There’s a giveaway happening. Enter the Rafflecopter below to help spread the word! Thanks! 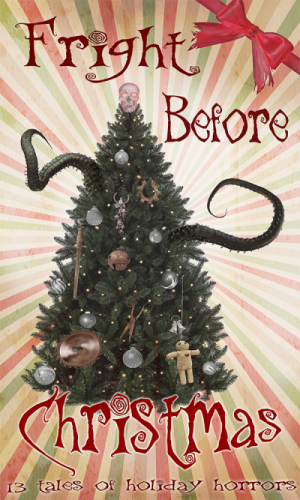 Cover reveal – Fright Before Christmas! Excited for this reveal! 🙂 Any shares or retweets are appreciated! Giveaway ends December 05, 2015. Just a tiny news announcement! I hope this banner makes my announcement self explanatory! If not, my short story will be part of this cool middle grade anthology. I loved this banner, and I can’t wait to see the cover! If you’d like to help with the cover reveal–which would be absolutely fantastic–you can sign up here! It’s just days away on September 28th! And for those of you who have asked. Yes! 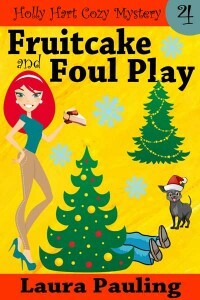 There are more Holly Hart Cozy Mysteries! Fruitcake and Foul Play will release in October! I write about spies, murder & mystery for teens and adults. 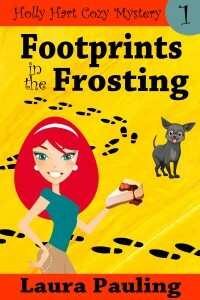 My Holly Hart Cozy Mystery Series launches in May. Check out my other books in the My Books tab. And welcome! The rat race of publishing and a cover reveal! 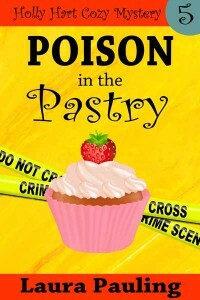 New humorous cozy mystery release! Win Amazon gift card! 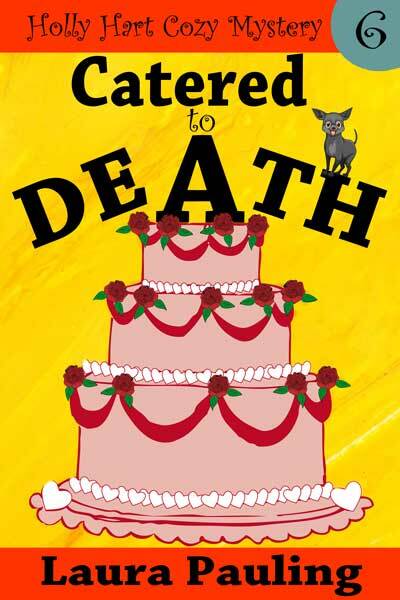 Read chapters 1-6 of A Highly Suspicious Death! Inspiration in a stranger and a cover reveal. Laura on The rat race of publishing and a cover reveal! Lynn Kelley on The rat race of publishing and a cover reveal! Alex J. Cavanaugh on The rat race of publishing and a cover reveal! Dianne Salerni on Going Red! © 2019 Laura Pauling. All Rights Reserved.